Montessori Ageing Support Services (MASS), a division of the Montessori Australia Foundation (MAF), is the national peak body for supporting quality of life for older Australians through the Montessori approach. In particular, it oversees training, consulting, promotion and endorsement of enriched Montessori environments for older people receiving care services. 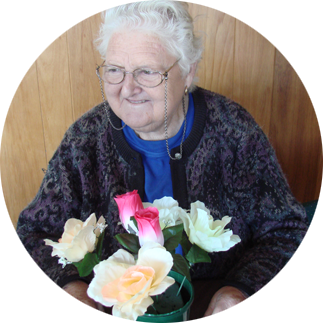 The Montessori approach provides enriched environments for older people receiving care services. It promotes independence, self-esteem, choice and meaningful activity through the recognition of individual strengths, needs, interests and the establishment of expertly prepared environments. Proven outcomes of Montessori environments are reduction in BPSD, Behavioural and Psychological Symptoms of Dementia, reduction in the use of psychotropic medication, improved resident, family and staff satisfaction, and prevention of excess disability. Montessori Ageing Support Services offers a range of conferences, workshops and training courses throughout the year and around Australia. For information about upcoming events see the Events section of this website or email events@massa.org.au. MASS offers a range of consulting services including training, mentoring and Montessori environmental audits to support care communities wishing to implement the Montessori approach. Montessori is an innovative, evidence-based model of care that focuses on strengths, capabilities, needs and interests with a focus on meaningful engagement. Successful implementation requires a commitment to changing practice and care outcomes. Consultancy packages can be developed to suit the needs of individual care communities, budgets and time frames.